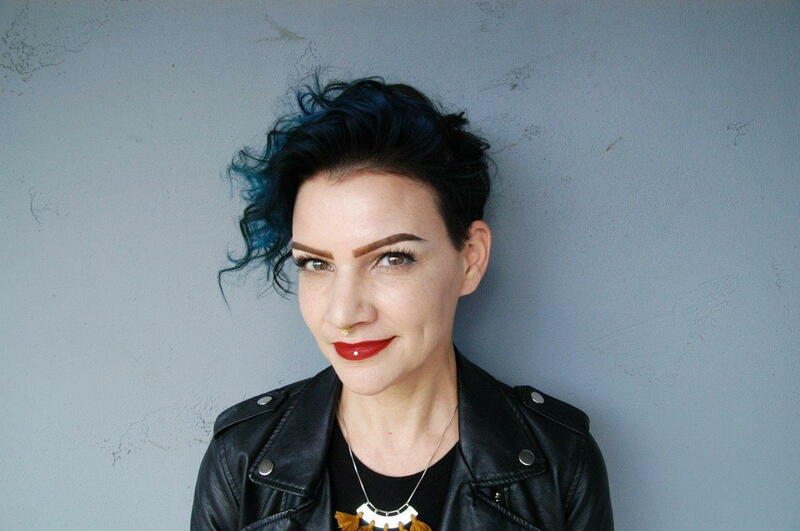 One of DK Hair's top stylists, Lexi Hoback is the educational and creative force in the salon. She is constantly refining and improving her skills while looking for ways to mentor new stylists as the Educational Director of DK Hair. Get to know Lexi in February's stylist focus. How long have you been with the DK Hair family? What I love about the hair industry is that there is always something new to learn. I am always developing my eye to see new qualities in the hair. Over the years I have had the opportunity to attend classes all over the U.S., from Bumble and Bumble in New York to Vidal Sassoon in Los Angeles. I hope to attend more classes around the world to learn new techniques and styles. Words that describe your personal style? I have always been into fashion and hair. I attended fashion school before photography school. It's a creative industry in which you can always learn, grow, and develop yourself. This is a very broad answer. I can be inspired by something as small as a color of a button on a shirt, the texture of a wall, or even something as big as traveling the world. I never know when I will be inspired or what will trigger it. It would be becoming the Educational Director of DK Hair. Two students who completed the program I created both graduated and are now accepting clients. 2 for 2! Alexander McQueen. Isaac Mill described McQueen's style as "Always with Juxtapositions. Dress could be expertly cut but then paired with a tear...High and low culture...beauty decays-which makes it, once again, more beautiful for its transience." I love this idea of high and low and transformation. We, as people, are that everyday of our lives.